Today's media and entertainment IT environment demands scalable, reliable and cost-effective technologies for its video, voice, and data storage and distribution. The proper mix of storage, network communications, video, voice, wireless networking and mobility technologies will facilitate meeting these ever-increasing requirements. 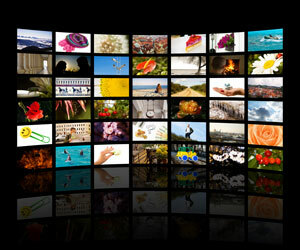 ATSG designed and implemented an upgrade of the IT infrastructure at a large media company. A Cisco Collaboration Suite was installed and legacy networking was upgraded with virtualization and server consolidation. Data, voice and video communications between the various parts of the media company have been vastly improved and the equipment footprint is much smaller. ATSG designed, implemented and is supporting a contact center for a professional sports team. The engagement included an integrated IP Telephony, Unified Messaging and Wireless Networking system. The team can now respond faster and better to contacts by its fans and deliver its products and services more efficiently. ATSG performed a security assessment for a local video production company. The client followed the recommendations in the report and engaged ATSG to install security solutions for its employees' mobile devices (BYOD) and software applications. ATSG designed, implemented and is supporting an upgrade of the IT infrastructure at a regional theme park. Legacy networking was upgraded with virtualization and server consolidation, a wireless network was added, and a phone system was upgraded with a Cisco collaboration suite. Data and voice communications between the various parts of the theme park have been vastly improved at lower cost, lower power, and smaller equipment footprint.